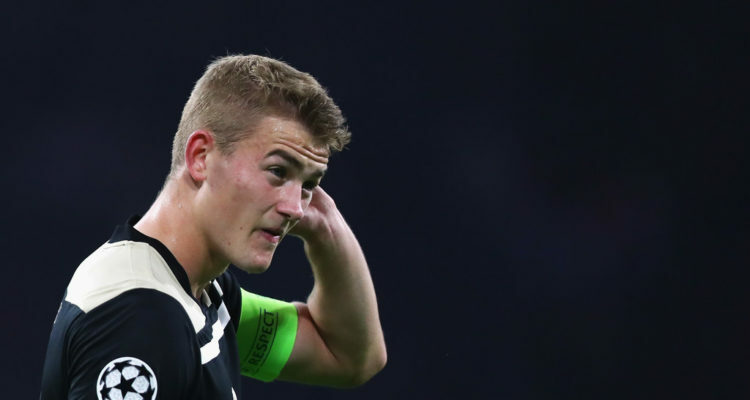 Blues in the battle to sign Ajax defender Matthijs de Ligt and ready to compete with Man United, Barcelona and Real Madrid for the footballer. Chelsea have problems in the back-line as Gary Cahill already 33-year-old, Andreas Christensen planning to leave the London club and their replacement is necessary. The Netherlands international is the best choice in this situation as he has an amazing season and paid big clubs attention. Sarri will do everything to add him during the summer transfer window. Red Devils, Blaugrana and Los Blancos also keen to sign him and there will be a real battle for the player. His price could increase and become much more. Matthijs is a product of the Jews youth academy and spent his current career with them. He is one of the best centre-backs in Eredivisie and unchanged figure for the club. In this campaign, de Ligt already played 34 matches, scored 3 goals and made 2 assists in all competition. This is an impressive result and he can do much more with high-class partners. The 19-year-old defender is contracted with the Dutch club until 2021 and his release clause is nearly €65m. He is a regular member of the national team and also helped them to reach the UEFA Nations League semi-final which is already a big success for the footballer. London club set to pay big money for the player during this summer. Blues also linked with Napoli centre-back Kalidou Koulibaly, Bournemouth defender Nathan Ake and Real Madrid footballer Raphael Varane.